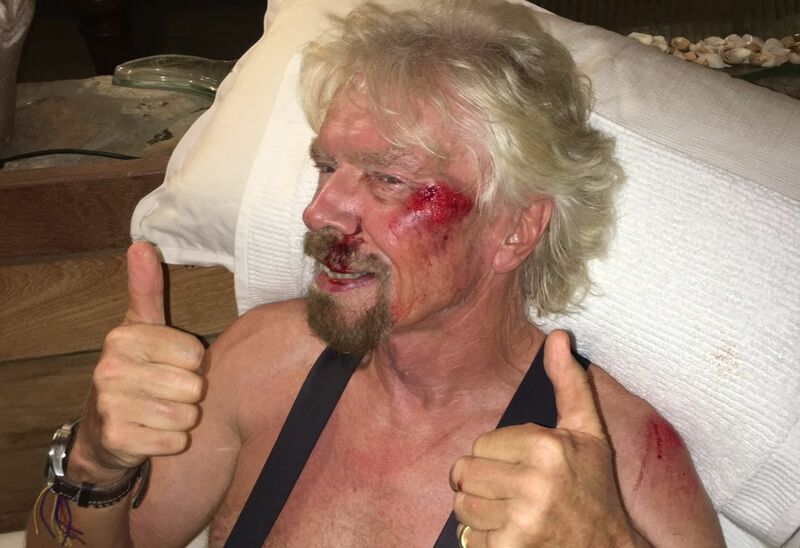 Sir Richard Branson has revealed how he feared he would die after crashing head first onto a road in a high-speed bike crash this week. 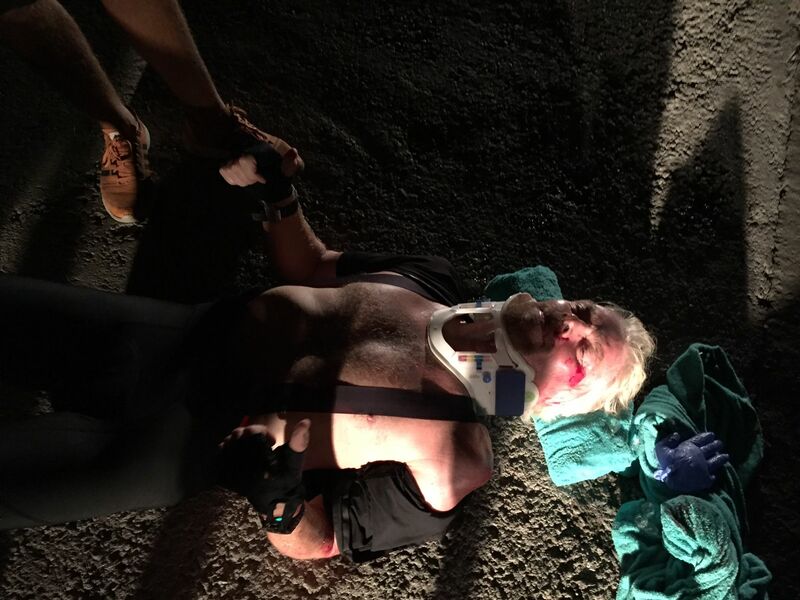 The Virgin tycoon was on a training cycle run in the British Virgin Islands with his children when the accident happened on Monday. Branson, who is worth nearly £4billion, was taken to Miami, Florida, for X-rays and scans. The 66-year-old said the helmet he was wearing saved his life, but he still suffered torn ligaments and a cracked cheek. Branson added: “I really couldn’t believe I was alive, let alone not paralysed,” and said that, fortunately, his shoulder and cheek took the brunt of the impact. His bike suffered a worse fate though, and went flying off the cliff. 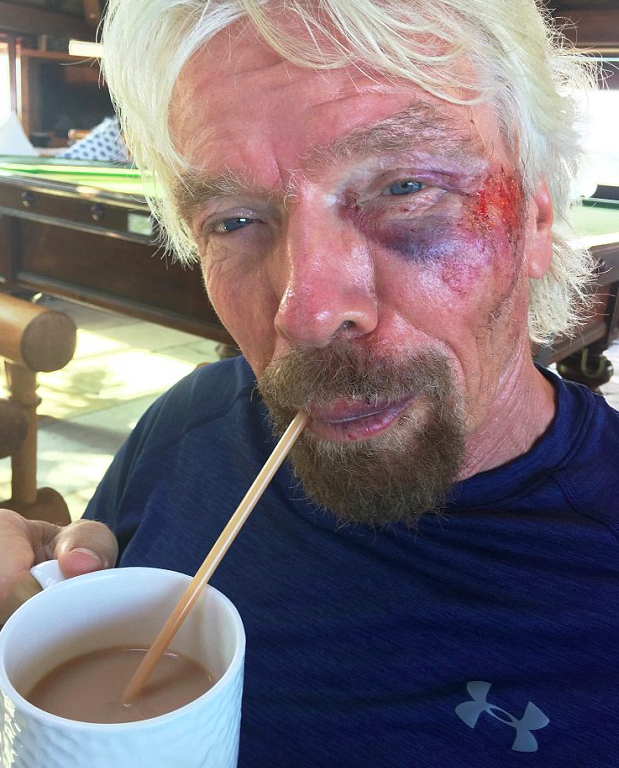 Luckily, Branson is recovering and his biggest hardship from the accident is ‘having to drink tea out of a straw’ – not a bad hardship if you ask me.